I am often asked, why the name of this blog? 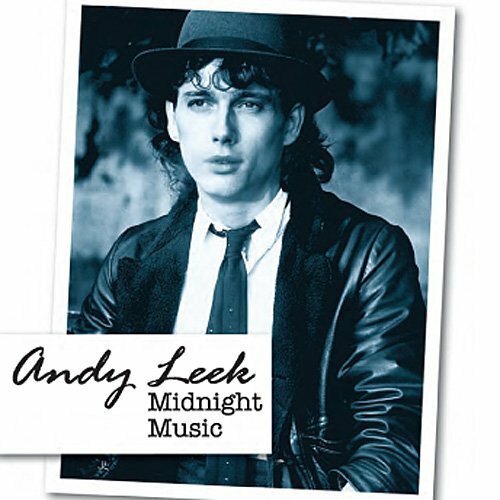 “Twist In The Dark” is the name of a song written by talented singer/songwriter, Andy Leek back in the early eighties. At that time, he had just come out of a short stint as keyboard player for Dexy’s Midnight Runners at the tender age of 16. He was writing and recording his own material which would form what would have been his debut album, “Midnight Music”. The album contained his top 40 hit “Move On (In Your Maserati)” as well as the singles “Soul Darling” and “Dancing Queen”. It also contained “Twist In The Dark”, a song later recorded by Scandinavian singer, Frida. “Midnight Music” along with “Twist In The Dark” were sadly never released at the time. Andy continued in the music business, going on to work with the legendary Sir George Martin. Finally, in 2009, “Midnight Music” saw the light of day. The CD or digital download can be purchased from Andy’s official website. I love the song, the name “Twist In The Dark” and the imagery it conjures. It is an ode to insomnia when consumed by heartbreak and anguish. I love the line “my priority is paradise”. For a while, “Twist In The Dark” was also the name of a website dedicated to Frida. After that site closed down, the domain was parked in cyberspace gathering cyberdust. It seemed natural to link it to my blog so that’s what I did. If you came here looking for a site about Frida then check out Frida Online. I like your blog. Ah! My blog is a crazy quilt of things. But since I’m stuck in Seattle, I like to travel via other people’s blogs. Thanks for the trip to Sweden… without any jet lag.